I like it as it is now Wullie! Wolfgang's bike looks great too. Lol, thanks Jim. I do like how mine looks. In a way it IS unique & it's a genuine looking (almost ) 3XV colour scheme ... but it's on the wrong year of bike! 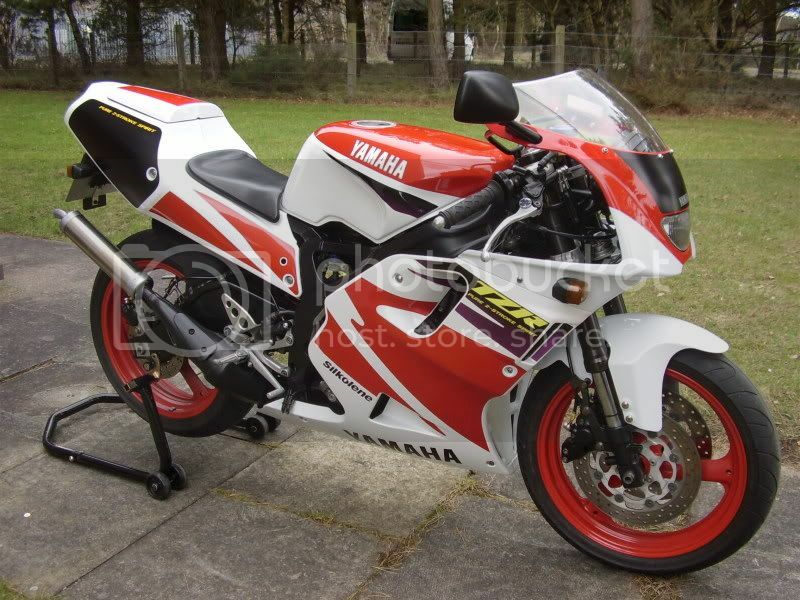 The bike would be more valuable to me if it was in its original '93 RS colour scheme, as per Wolfgangh's beautifuly painted RS. Just planning ahead to when I have to sell my "investment" on due to old age & infirmity. Yes, red wheels are standard for that year/moder 3XV. I suspect that is an oring on the fork leg to check travel. I did the same when servicing my forks. jsnook think you could be right . ive 1 of them to only it on a mtb.